I love lavender farms, one of my favorites being the Ali’i Kula Lavender Farm in Maui which I visited in 2014. But we’ve also visited farms in the San Juan Islands and in New Mexico. 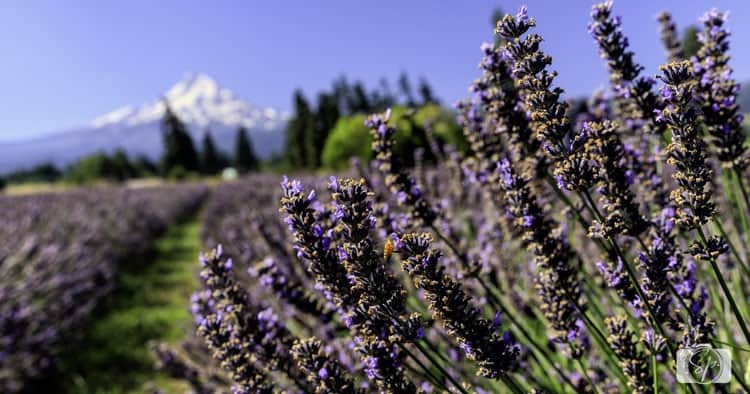 The smell alone is one reason to go, but lavender is such a pretty flower, it’s hard to resist! You want Lavender Valley farm. It’s only been in operation for three years, giving it a go after trying fruit. 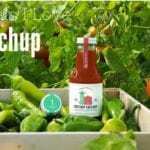 Like any other small business, especially farms, it’s a lot of work getting up and running and the small team here are extremely dedicated to the endeavor. 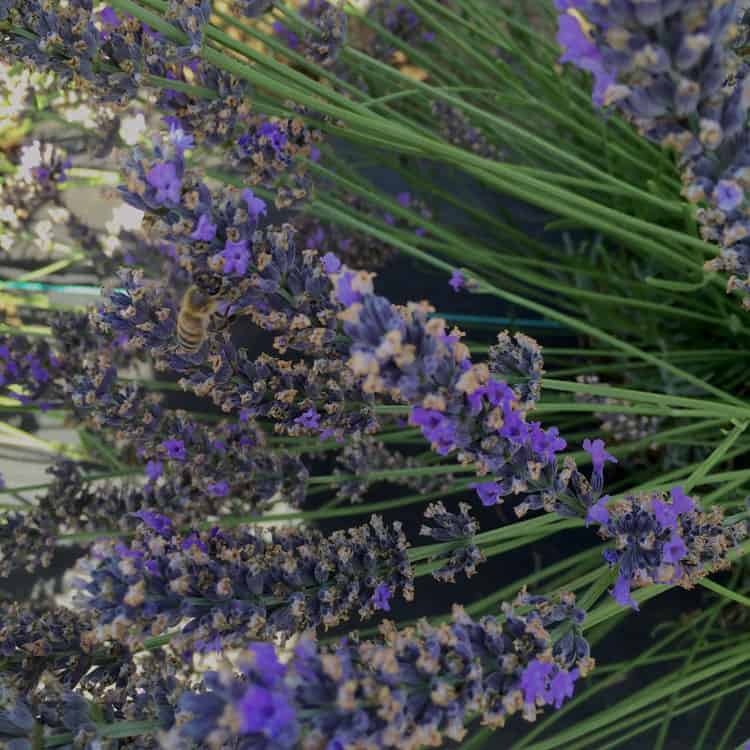 We had a chance to talk to Hugh and Paul who were in the middle of harvesting part of the lavender crop for essential oil. They were super friendly and talked to us for a while. Of course, it was 90 degrees, so they were probably happy to have the break. 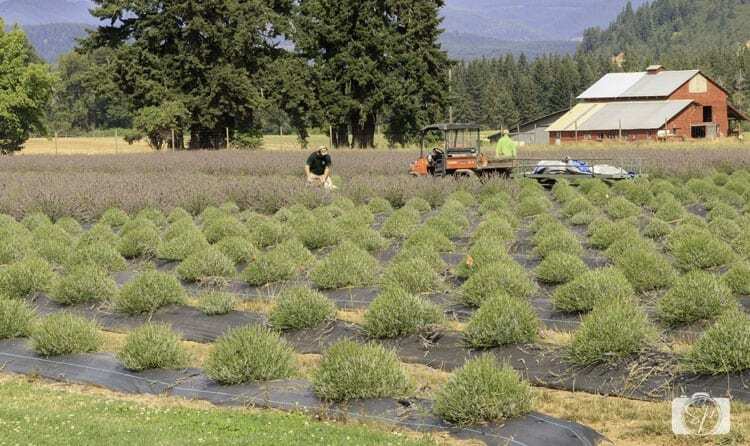 The farm sells many lavender products including essential oils. We bought sachets for our closet, outdoor clothes tend to get a bit stale after a while no matter how many times you wash them! They have bouquets available, but you can also pick your own for $4, which I think is a total bargain. Visiting the farm is absolutely free and there is no pressure to buy anything or pick a bouquet. Lavender Valley is open every day from 10 to 5, a bit of a bummer if you want to do sunrise or sunset photos, but it is my understanding that arrangements can be made with the owner. I’m pretty sure we’ll be trying to make those arrangements when we return to the Portland area to live. 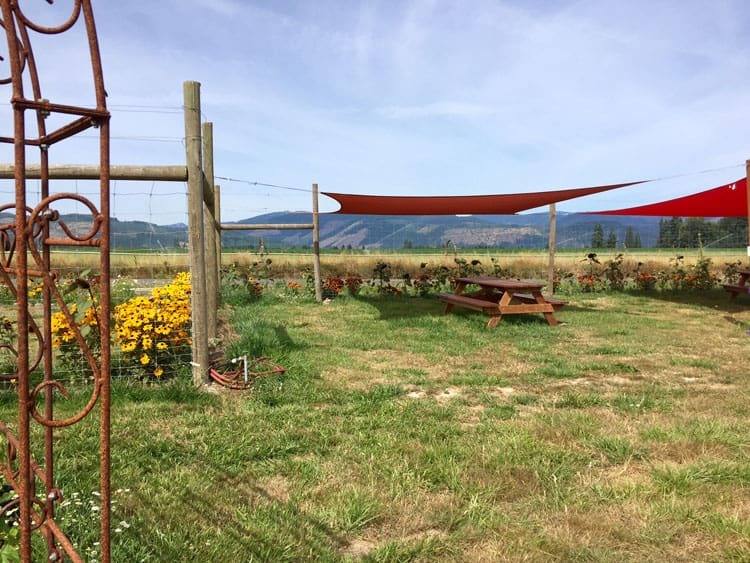 The farm is about two hours from Portland in the Hood River area. It’s on what the region calls the Fruit Loop trail. There is a great map you can pick up to visit about 25 fruit farms (or stands), cider makers and the such. We drove about half the trail and picked up some great fruit. 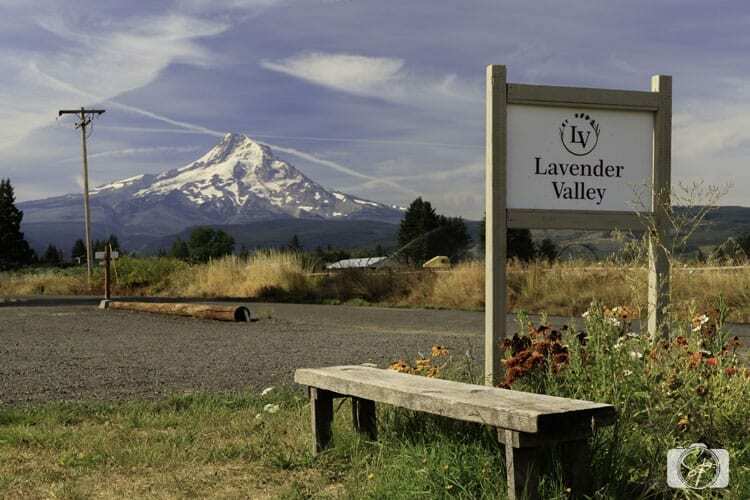 If you’re smart, you will go to the fruit and cider spots before you hit Lavender Valley because they have a great picnic area that you can use to enjoy your bounty. We visited the farm twice but didn’t take advantage of this feature…next time! One word of caution. If you are allergic to bees, this is not the place for you. There were thousands of them going about their merry way. They completely ignored us, even when I got super close to the lavender, but if you are highly allergic, you may not want to risk it. That being said, they have great lavender infused (thank you bees) honey which we bought a bottle of! If you are ever in the Portland area, take a drive out to the Hood River area, you will follow the Columbia River the whole way, pass Multnomah Falls ( you can see it from the road!) and have a gorgeous view of both Mt. Hood and Mt. Salmon. The visit is free, the farm is beautiful and the scent in the air is heavenly! How about you? 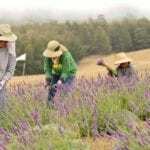 Have you been to a lavender farm? Where? First off that is such an amazing view! Having a picnic there would be absolutely amazing. Second, it sounds like a great place to visit between the friendly owners and the amazing products how could you not want to. I’d have loved to have picked up a bouquet and some sachets myself. 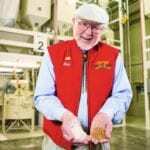 There is a lovely farm in Central Oregon,http://www.tumalolavender.com/index.htm. I haven’t been to a lavender farm, but I love lavender. I also like looking at it just as I love looking at wheat fields. I love Lavender! I have some growing in my garden. This place is absolutely gorgeous, would love to visit. This looks like a great place to visit. I bet it really smells amazing there. I have never seen lavendar naturally, it has always been the scent in an air freshener or something like that. I need this in my life! Wow — that view is breathtaking! I love the mountains in the distance. The smell of lavender in and of itself is calming and relaxing to me, and with a view like that I might just want to find a hammock and take a nap! I found myself looking at your beautiful pictures, wishing I were there. What a spectacular view! And I love your advice about going to the fruit farms first and then picnicking at the lavender farm! Oh my, I can almost smell the farm through your pictures! I have never been to a lavender farm, but I can only imagine how awesome it would be, since I love lavender! I love lavender and this farm is so beautiful. I would love to visit there. So beautiful! We have GOT to get back out there to visit my sister-in-law. We’ve seen most of the cool Portland-y stuff, but now we really want to get back and explore more of the outdoors! Oh my gosh, the view is amazing! I never even really considered going to a lavender farm….I have never heard of one actually. 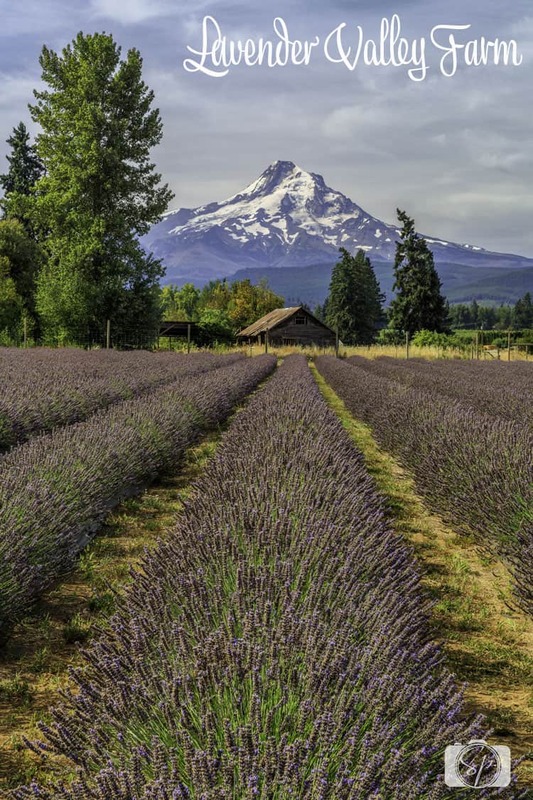 I would absolutely love to visit Lavender Valley – so, so beautiful!